This entry was posted in Family life, Rural Life, Uncategorized and tagged farm living is the life for me, rural living, Sunshine, Sunshine Thiry, the country mouse and the city mouse, Why I love living in the country by Sunshine Thiry. Bookmark the permalink. 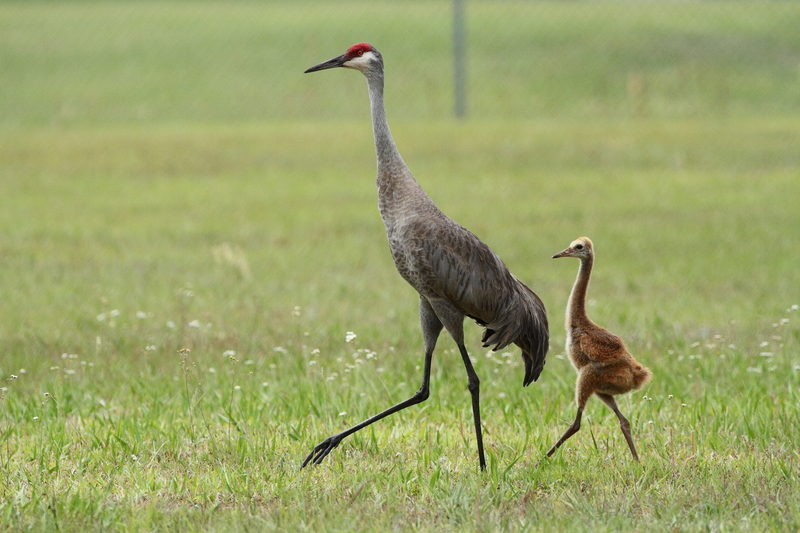 Those appear to be Sandhill cranes. I’m a country mouse myself. Those first five years of my life spent living on a relatively isolated hillside set me up to dislike the sensory overload that is the city. Even the suburbs bother me a bit. The red cap is a dead giveaway. Yes, suburbs bother me, too. I can’t stand the “no trees” look. It looks wrong to my eyes. Even when we lived in a neighborhood, I covered our little yard in trees and gardens, trying to recreate a little piece of the countryside. Our eldest daughter is in New York City at this very moment on a school trip. I wonder how she’s faring, as she’s never been to a large city before in her life unless you count Denver and Detroit. I’m the complete opposite – I’m a city girl. I live right in the heart of town. This is Germany, though, where people are constitutionally discreet. My biggest disturbance is the hordes of noisy tourists charging through my street on Saturday morning, so apart from that, this strikes me as the quiet life. But London! As we’re circling overhead and the sunlight hits the Thames as it snakes through one of the most dynamic cities on earth, my heart jumps. All the crowds, the theatres, the bookshops, the restaurants, the diverse people… I love it. We can agree on suburbia, though, especially when it’s rows after row of silent houses even though the lights are on and there are clearly people there. Having read about how artificial and destructive lawns are, the lawns bother me a bit too. I lived within 10 miles of NYC until my early 30s when I moved to Vermont. I can’t imagine moving back to the hustle and bustle of the city ever and if I did, I’d have to take driving lessons to relearn how to deal with the traffic. That said, it’s hard at times to get my teens to appreciate country life. Recently we visited my sister on Long Island and I let them take the train into NYC with their cousins to spend a day exploring. When they returned they were aghast at everything they feel they’re missing by living so far away from a major city (we live an hour outside of Montreal, but they don’t believe this counts). If we had stayed in NJ, they could see Broadway shows, go shopping at the best stores, visit the top museums in the country, etc. The whining continued all the way back to Vermont. I know that they’ll appreciate the calm, sane life we’ve created for them when they’re older along with being able to ski and hike and enjoy swimming holes and lakes that most kids only get to experience while on vacation. But, for now they’d rather be city mice. When I leave work, after the last small town disappears, it is another 10 minutes country road driving to my house. My blood pressure drops. Cars disappear, the very few left are my neighbors, we smile and wave as we pass. I approach the long white horse rail boundary to my house, and I breathe my final sigh of relief as I stop at the mail box. I am originally from the megopolis of southern California. I was clearly born in the wrong place. Of course, I’ve noticed that where one is born doesn’t dictate whether you are a city person or a country person. My sister arguably spent more time on farms and camping trips than me, yet she is most city person you’ll ever meet. She was visiting my Dad’s farm and mistook a bag of powdered calf formula for detergent, so she washed her clothes in highly diluted milk. I wasn’t even surprised. I would have LOVED to be in Lansing last weekend. Final Four Baby! Seriously, I find myself doing OK in the cities (at least in the “no bars on the windows” neighborhoods), well in the country and small town, but I just don’t like suburbs much.